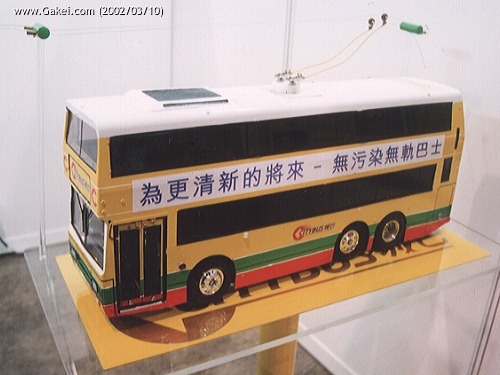 Citybus first announced in March 1999 that they would invest HK$5 million to conduct a trolleybus trial, to study its feasibility for Hong Kong. 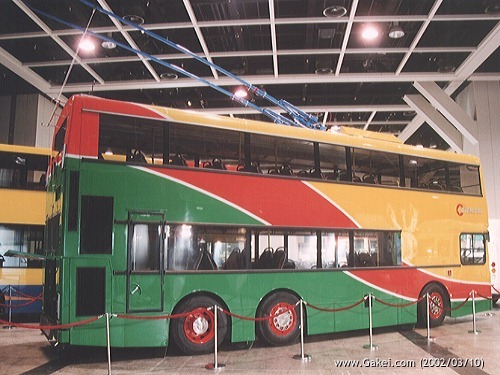 The trial involves two main elements: (1) the construction of a test track with an overhead wire network at the Citybus Wong Chuk Hang parking facility; (2) the conversion of a regular diesel bus into the world's first double-deck air-conditioned trolleybus. The trolleybus is converted from 701 (GD 1492), a 10.6m Dennis Dragon with a Duple Metsec body assembled by Caetano of Portugal. The roof structure had to be strengthened to take the extra load from the boom equipment and the brake resistors. 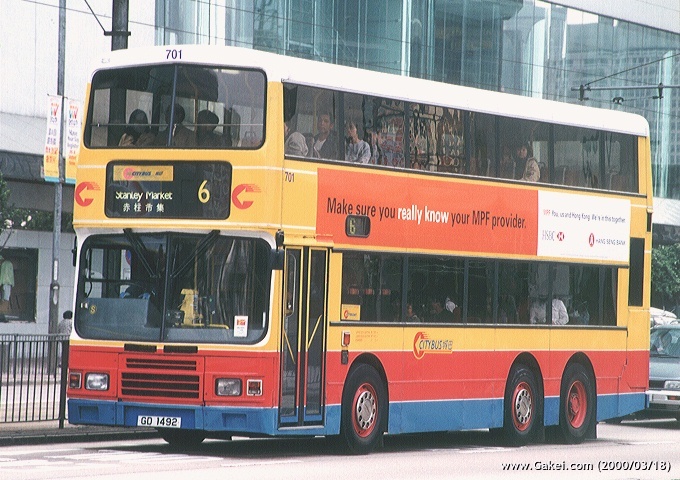 As much as possible of the original bus had been retained. 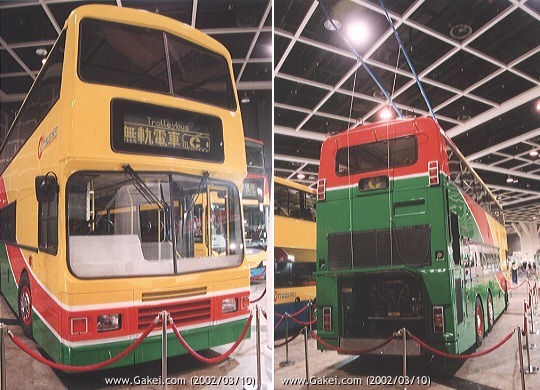 Reference: Citybus Limited, The Green Solution - Trolleybuses for Hong Kong.